The candidate should be dead (more than five years in most cases). A local bishop then undertakes a detailed investigation and gathers evidence relating to the candidate’s life. The information, now sent to the Vatican, is considered by the “Congregation for Cause of Saints”, a panel of senior church officials. If the panel agrees, the Pope will declare the candidate “venerable”, which means that they are a role model for the Catholic Church. Next, the candidate must be “beatified”. This means that either they are associated with a miracle, or they were martyred. The miracle does not have to have been performed by the candidate, as it could be for example, someone who has recovered from a terminal illness as a result of praying to their spirit. To be canonized, there must be proof of a second miracle, at which point the candidate becomes a saint. Bishop or priest saints are often venerated at a local level having undertaken their religious services nearby. 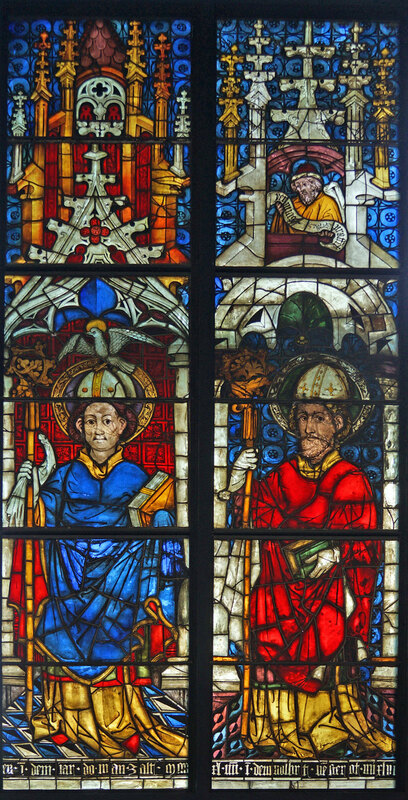 The Boppard saints were St. Cunibert, patron saint of a local important family and Archbishop of Cologne, and St. Severinus, also Archbishop of Cologne and patron saint of Boppard. 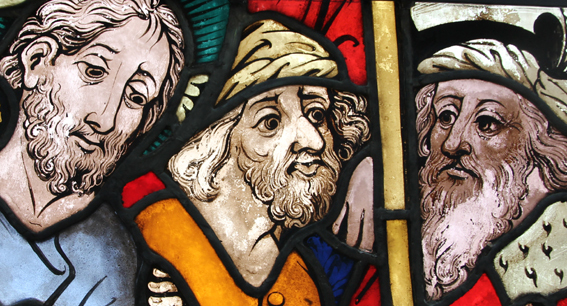 Four other bishop (or priest) saints in stained glass at the Burrell are shown below. These are a pair of panels from Germany, made around 1230 – 1260. 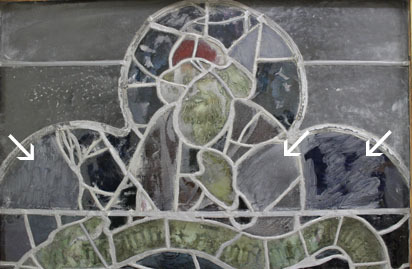 There is a bishop saint was on the left (top image in this blog), with his mitre and crosier, and a priest or deacon saint on the right (immediately above). Bishop saints are often depicted with a mitre and crozier to show their status within the Church, and usually with a symbol to help indicate which saint it is, such as Romanus and the dragon, below. If there is no inscription and the saint is depicted with only a crozier and mitre such as the one above, they can be hard to identify. 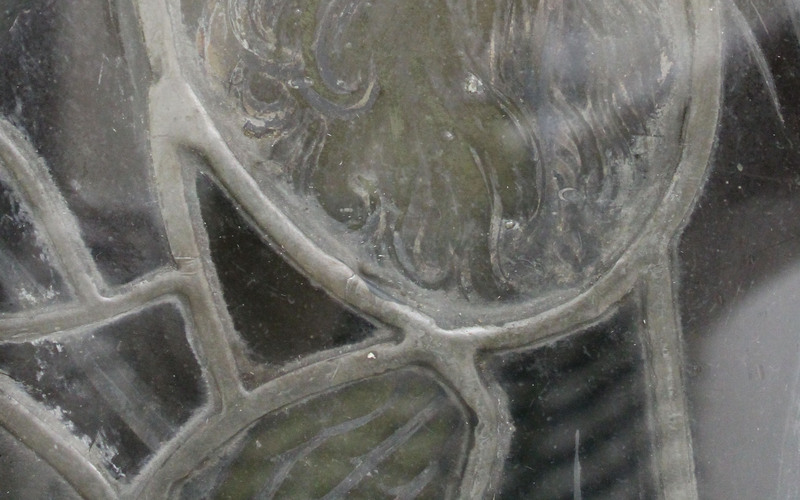 The bishop saint in the panel above is thought to be St. Romanus (or Romanus of Rouen). He is shown standing under a canopy holding a pastoral staff piercing the open mouth of a red dragon. St. Romanus was the Bishop of Rouen and died around 640, and is associated with several miracles. The miracle involving a dragon has a number of variations. The legend says that Romanus went off to hunt this beast that devoured and destroyed the local people with the only other person prepared to help, a condemned prisoner. When they found the dragon, Romanus subdued it with a crucifix and led it back to the town, where it was burned before the entrance to the cathedral. This miracle was the origin of the bishop’s privilege, in which the bishop is allowed to pardon one condemned prisoner a year at a procession involving Romanus’ relics. 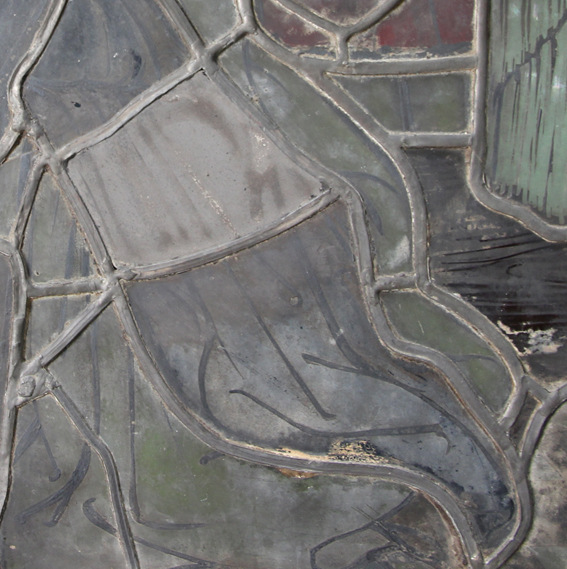 Another stained glass panel, shown above, and on display in the Burrell was made in the early 16th century in the Rhineland. 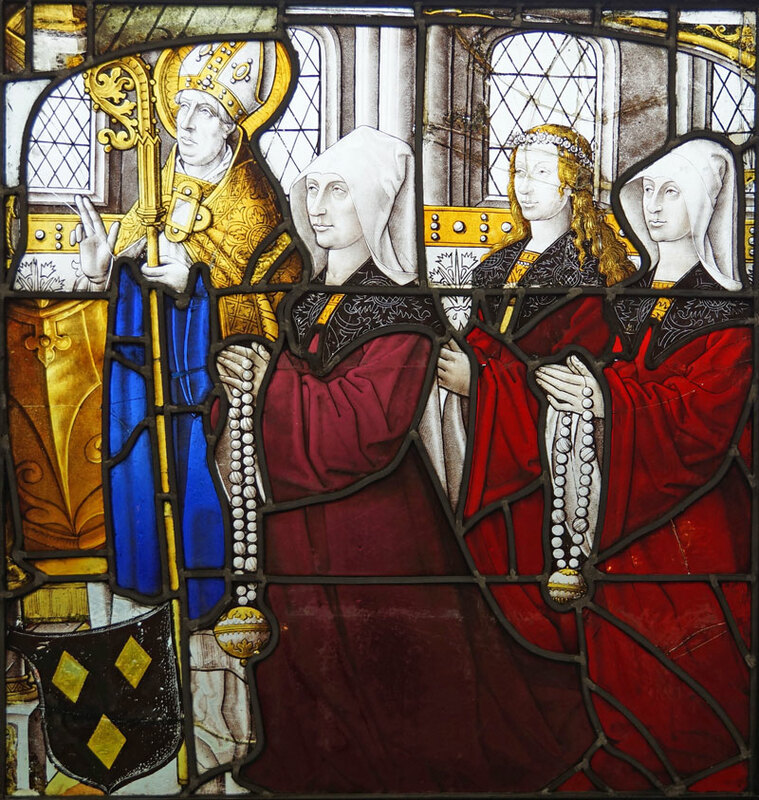 It shows three lady donors dresses in red robes and kneeling in church. The Mother is depicted at the centre and her married daughter is behind her (on the right). They both hold rosaries and are coifed in white to cover their heads. The unmarried daughter (as her head is not covered) is shown between the two married women and has a small garland, or chaplet, of flowers in her hair. She doesn’t seem to be holding a rosary, but the word chaplet also refers to a Roman Catholic prayer that uses prayer beads. On the left is their patron saint, a bishop saint with his mitre and crosier. His right hand is raised in benediction and he wears a gold embroidered cope, a blue dalmatic and a white alb. 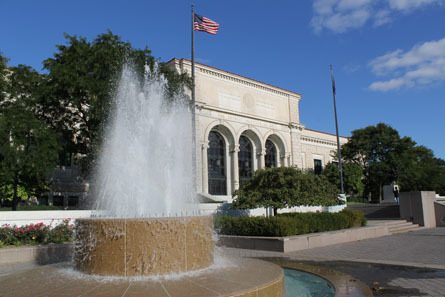 He was probably a favourite saint of the donors or of local importance. 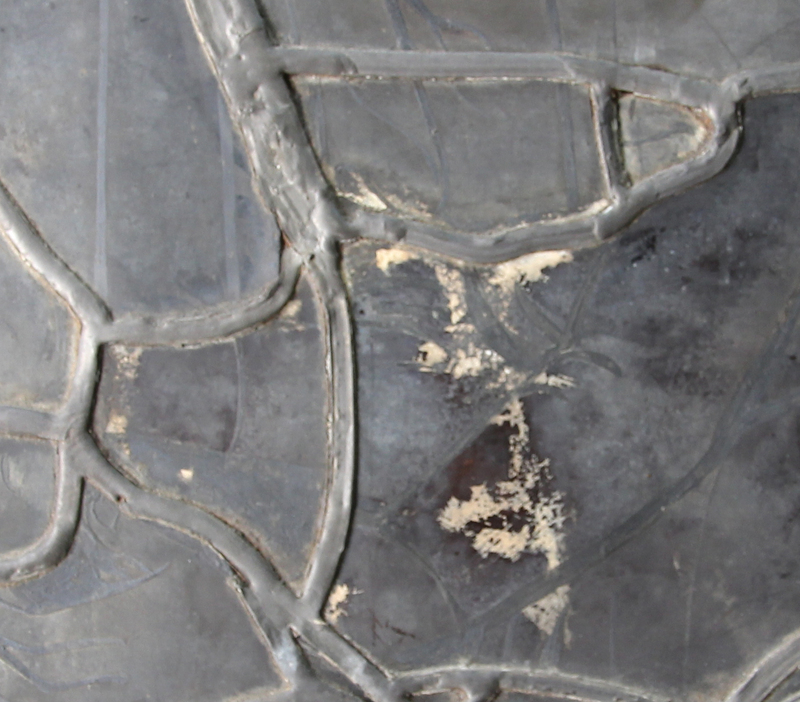 Before a stained glass window is made a small, a scaled design is produced to show the client. 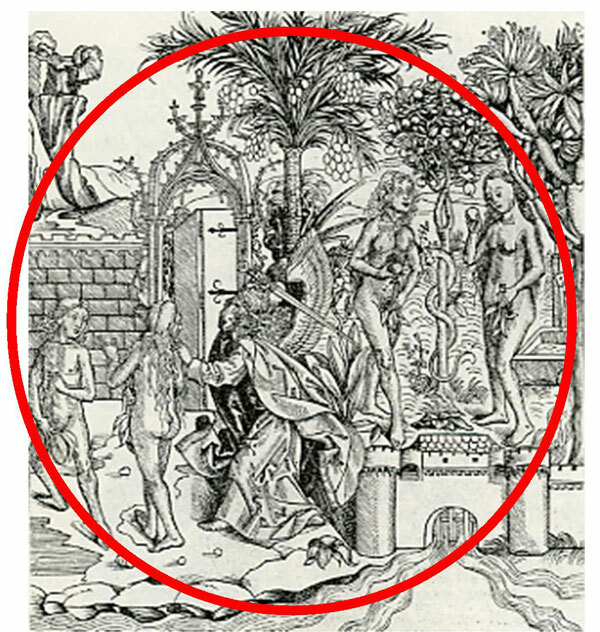 This initial drawing is known as a “vidimus”. From this a full size cartoon is produced which contains all the information the glazier would need to make the window. 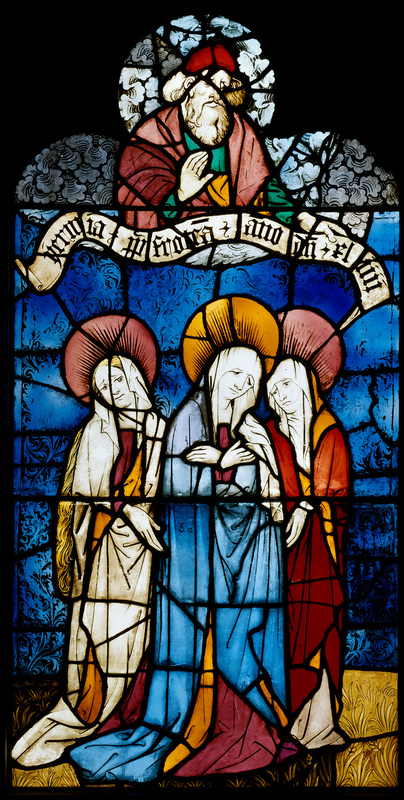 In the Middle Ages stained glass designs were normally specific to the location or the ideals of the donor, to illustrate given topics or events, such as is the case with the Boppard panels. 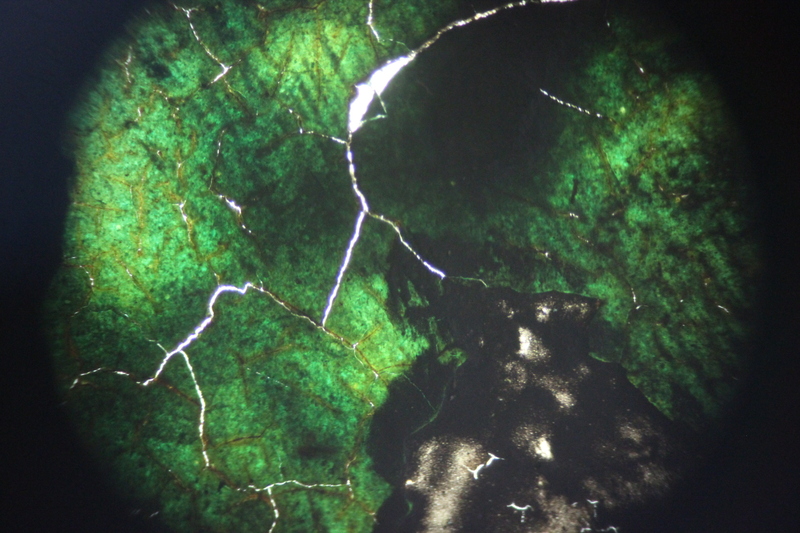 The inspiration for stained glass designs came from a wide range of areas, such as Biblical texts, an illustration in a book or manuscript, a painting or some other work of art. 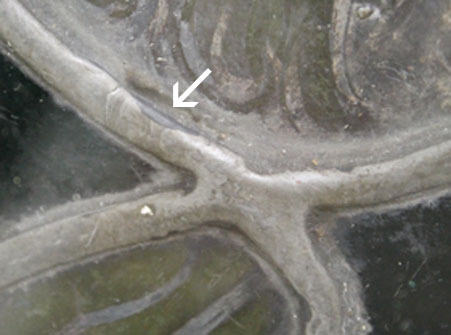 Glass painters probably also kept sketchbooks of figures and motifs useful for stained glass, similar to that in the found in the Pepysian Sketchbook, in the Pepysian Library at Magdalene College Cambridge. 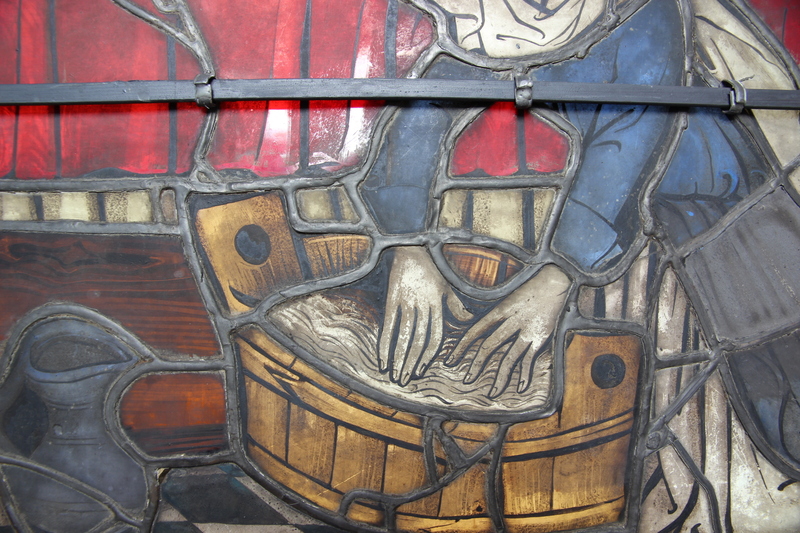 Over time it also became popular to commission individual artists to create designs for stained glass. 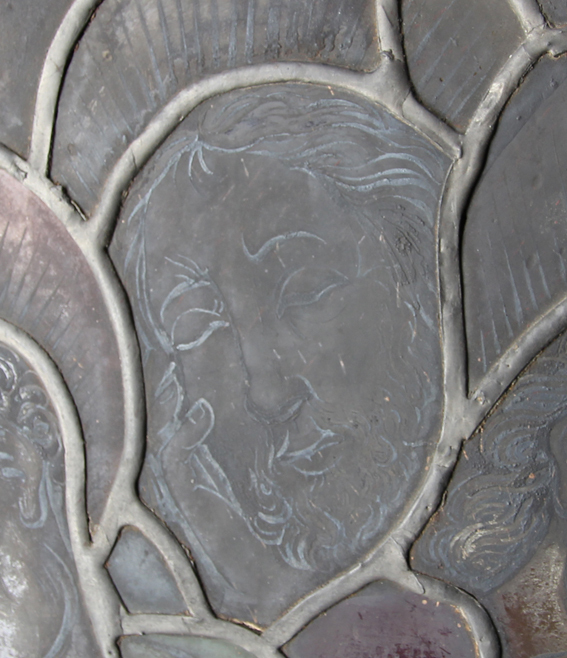 The Burrell Collection has some examples of the preparatory sketches for stained glass such as the one below. 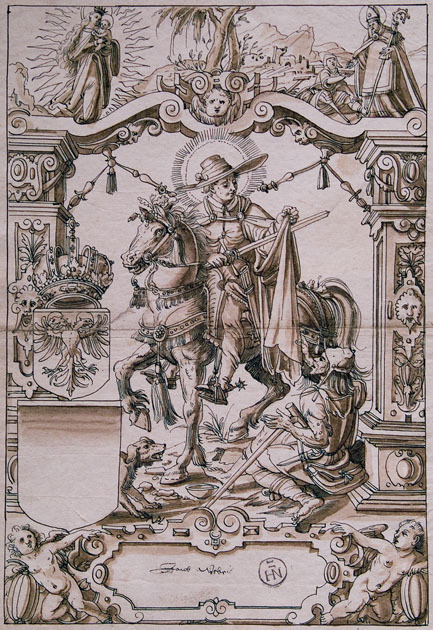 It is a 17th century ink design by Jacob Weber (not on display). 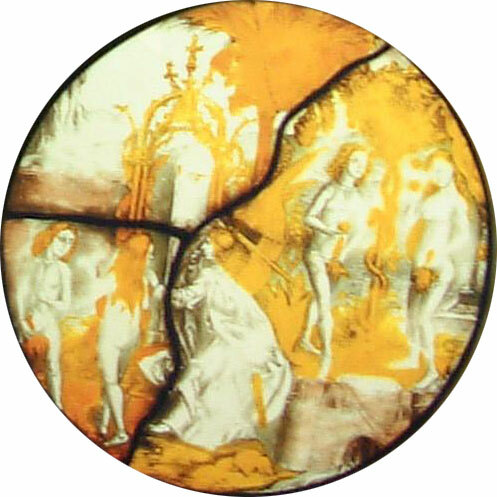 A fine silver stained roundel in the collection depicting Adam and Eve shows how designs were copied from other sources, in this case the Nuremberg Chronicles. 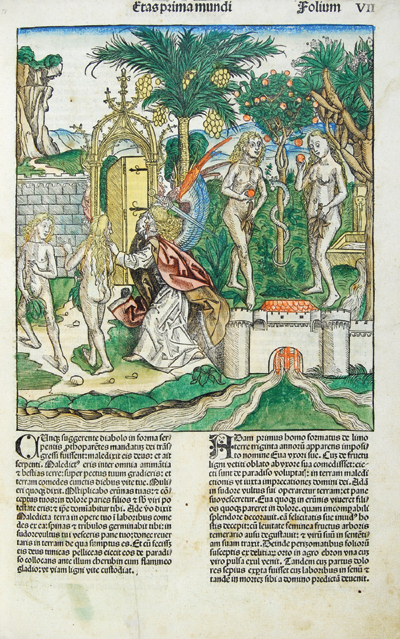 The Nuremberg Chronicles are an illustrated history of the human world linked in to Biblical stories and theology. It was originally written in Latin around 1493 by Hartmann Schedel, and then translated into German by Georg Alt. It was one of the first books to successfully integrate illustrations with the text, and these were often the inspiration for stained glass panels and tapestries. The Burrell Collection example of Adam and Eve in the “Expulsion from the Garden of Eden” panel is shown below. Nuremberg Chronicle by Hartmann Schedel. 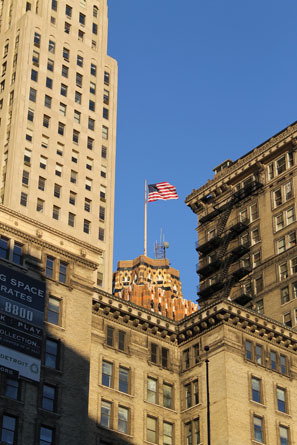 Classmark Inc.0.A.7.2. Reproduced by kind permission of the Syndics of Cambridge University Library.